I hope you are all okay and have managed to survive the first working day of the week! Only four more to go! Links of London are asking their favourite bloggers to write about their favourite things to do in London and as I'm planning a trip to the capital soon I was only happy to help out. I haven't been to London for a while, I am more than overdue a trip soon and me and Carla were talking about it recently actually. Definitely think I need to find a date in my diary when I can slot it in. I have be a fair few times and used to make it a annual trip until last time I went I got really poorly for a few days. One of my favourite ever things to do in London is take a flight (preferably a champagne one) on the London Eye. I have only ever done it during the day, which is amazing as you get to see all the wonderful sights and views that London has to offer from above. However, I would love nothing more to take a evening trip on the eye when its all lit up and looking pretty and see London at night. I just think it would be the perfect opportunity to wrap up warm, sip champagne and see all the pretty lights whilst going round on the eye. How stunning is this photo? The lights look amazing and how perfect would it look covered in snow? Seriously dreaming about visiting our wonderful capital right now! I'm hoping to sneak a trip in very soon! What would your London in winter recommendations be? i love London , have not been in ages ! I love the atmosphere in London, I was there at the weekend. 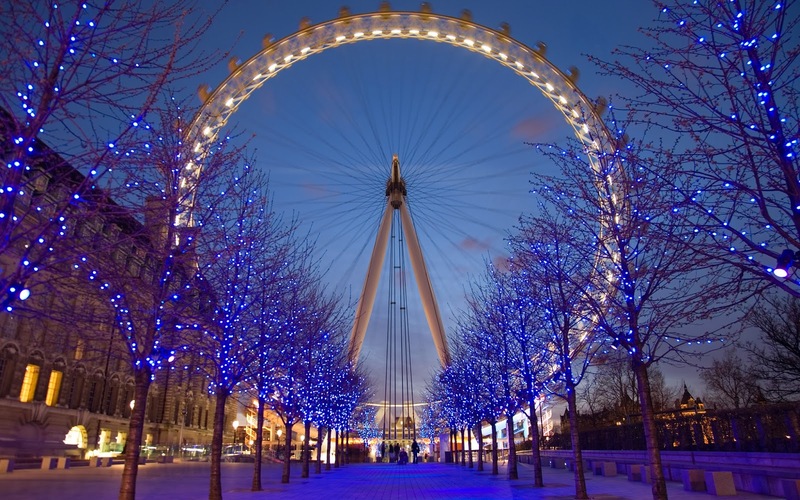 Definitely need to go on the London Eye it's perfect when it's chilly out.